Wen Tong (1019–1079) is considered the supreme master of bamboo painting in the history of Chinese art. 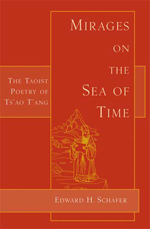 Wen was a poet as well, and perhaps because of his fame as a painter, his poetry has remained virtually unknown for centuries. 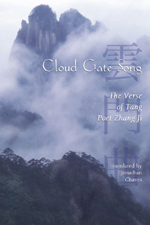 This book is the first in any Western language to present translations of selected poems by Wen, over three hundred of them, as well as examples of his prose writings, which shed new light on religious and folk beliefs of the day. 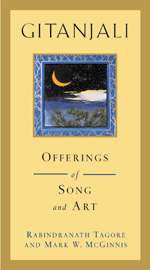 The enduringly popular verses of poet, playwright, and novelist Rabindranath Tagore (1861–1941) illustrated with 103 exquisite paintings by artist Mark McGinnis, after the fashion of Indian Kangra style paintings of the late 18th century. 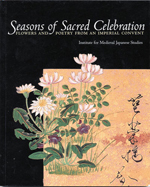 Presents 18 beautiful calligraphic renderings of classical poems from well-known anthologies, with delicate floral illustrations, preserved since the 17th century at Daishoji Imperial Convent in Kyoto, one of the main Rinzai Zen convents in Japan. 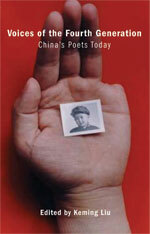 An anthology of the outstanding work of China's so-called Fourth Generation of poets emerging from a vibrant and rapidly developing cultural scene, offered for the first time in bilingual format. 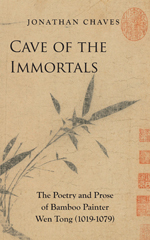 The first book in any Western language devoted to the work of this major poet of the Tang dynasty, with 300 poems rendered in accurate, readable translation. 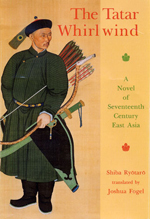 A sweeping epic of battles and international intrigue at the time of the Manchu invasion of China, by Japan's most popular writer of historical fiction.